Before I get to my main point I desire to share an interesting feature of the Gospel of Mark as a literary composition. In 14:52 a young man flees Gethsemane naked. Yet, in 16:5, a young man wearing a white robe sits in the empty tomb. I had not noticed the juxtaposition of these two verses until I watched Professor Luke Timothy Johnson’s Jesus and the Gospels course from The Teaching Company. Is the young man in Chapter 14 the young man in Chapter 16? And what the significance, if any, of two mentions of a young man in relation to the death (before it and after it) of our Lord? The Gospel of Mark is a brilliant composition, so I wonder about this matter, which does not seem accidental to me. Now for my main point…. Moses, by Exodus 2:11-15, had come to identify as a Hebrew. I wonder what would have happened had he not fled. Later in the Book of Exodus he walks into the royal palace and confronts the next Pharaoh. He (Moses) was no less a murderer than he was in Chapter 2. And, later, he was also a fugitive. Exodus 4:19 not withstanding, did not the Egyptians keep records? Was there a statute of limitations on murder? My counter-factual wondering aside, Moses did flee. And it was a wise decision. Jesus did not have to remain at Gethsemane. Authorities would have apprehended then killed him eventually, but it did not have to be at that place and time. But he stayed voluntarily. 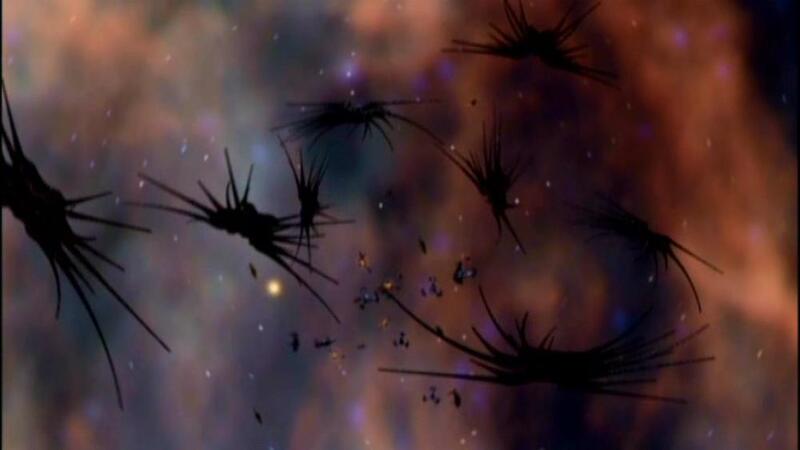 Babylon 5 (1994-1998) is one of my favorite science fiction series. 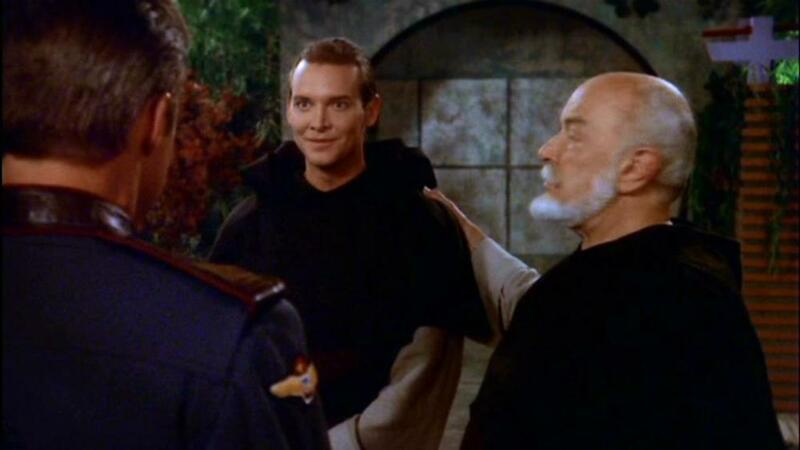 In one episode, Passing Through Gethsemane (1995), Brother Edward, a Roman Catholic monk on the space station, explains (when asked) the core of his faith to two aliens. He explains that Christ did not have remain at Gethsemane. Edward wondered if he would have had the same courage. There is a time to remain in a difficult situation for the sake of others. And there is a time to leave and live to fight another day, so to speak. In military terms, there is no shame in a tactical retreat. But may we know when to remain, when to advance, and when to retreat. May we listen then obey when God tells us the proper course of action. 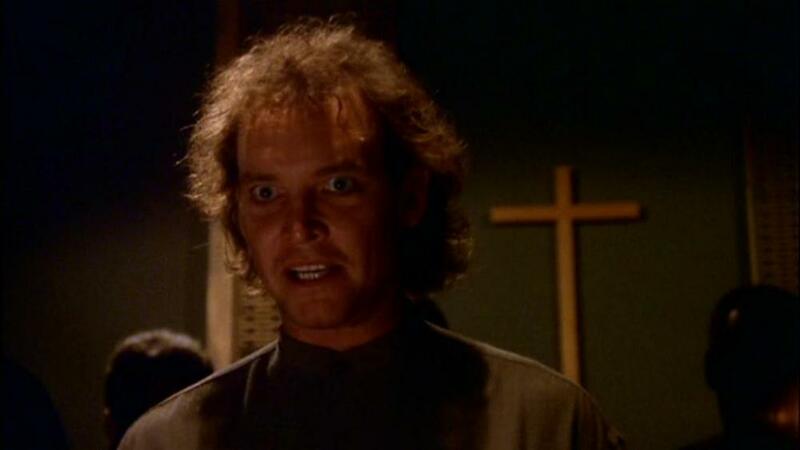 Among the character pieces early in the third season my favorite is Passing Through Gethsemane, the sad tale of Brother Edward. 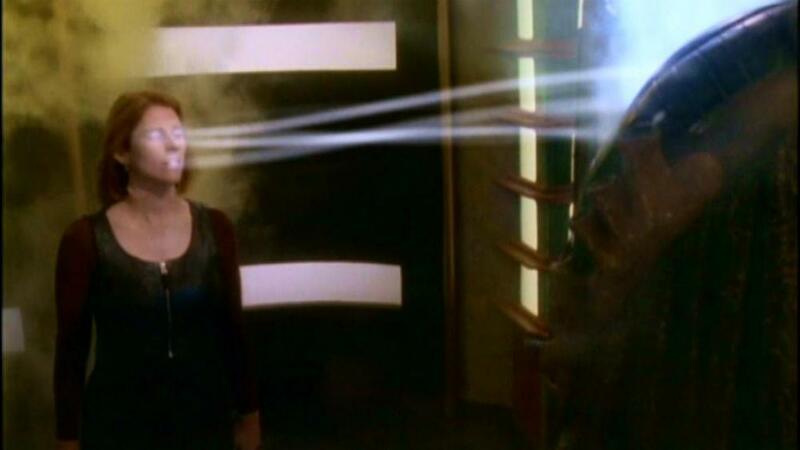 The framing story is the return of Lyta Alexander, who left the station and headed for Vorlon space after Divided Loyalties, late in the second season, in which she exposed Talia Winters as the host for the Psi Corps-implanted spy personality. Lyta, no longer part of Psi Corps, is working for the Vorlons, who have modified her, and for whom she conducts missions and errants, carrying Ambassador Kosh within herself. Brother Edward is a gentle man, a model of charity and goodwill in deeds small, medium, and large. 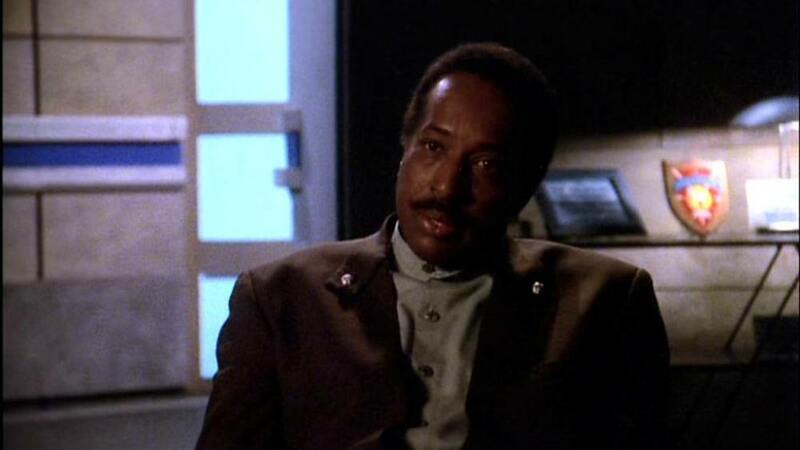 He lives on board Babylon 5 as part of the community of Trappist monks which arrived two episodes ago. He engages in his community’s work, which is to seek the other names and faces of God from members of alien species. 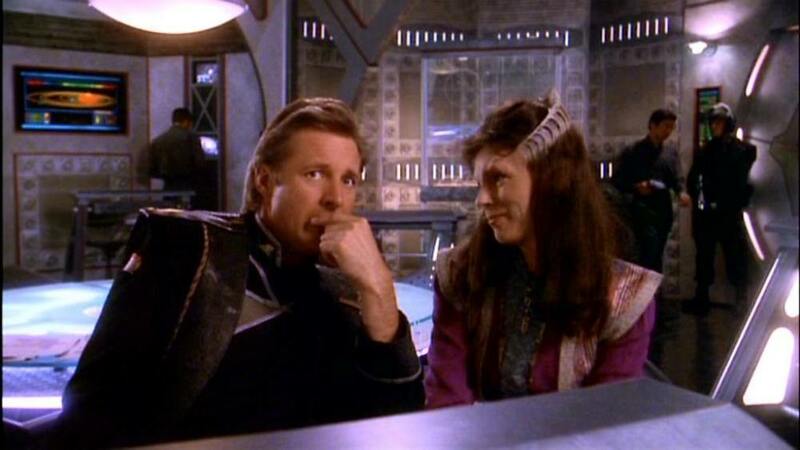 In one scene he interviews Minbari Ambassador Delenn and her aide, Lennier. 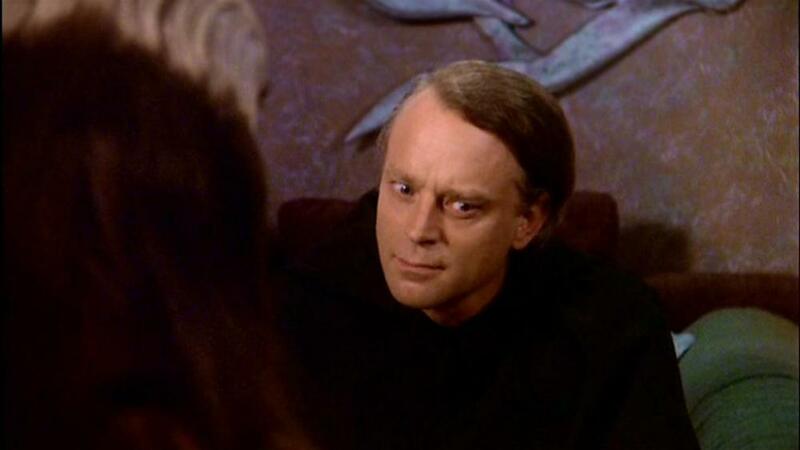 The Minbari diplomats explain their culture’s spirituality and the character Valen, a Minbari not born of Minbari–the founder of the Minbari nation as it exists. (Pay attention: Valen is pivital in the series.) 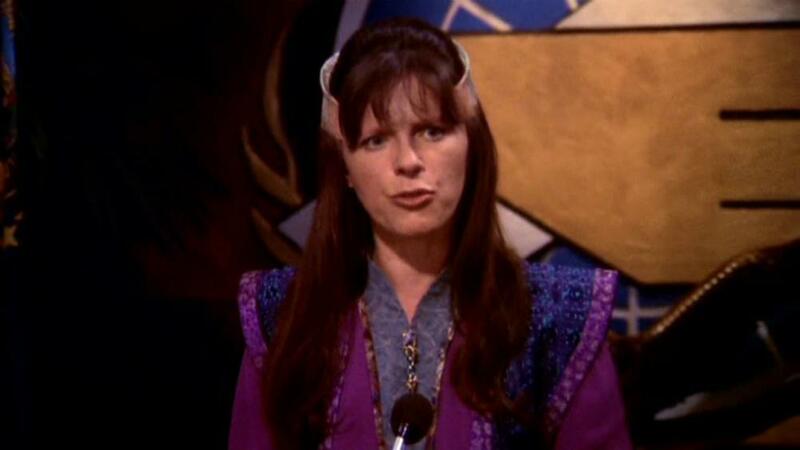 Then Delenn asks Brother Edward to explain his faith, specifically the hook, if you will, on which it hangs. It is this: Jesus did not have to remain in the Garden of Gethsemane, but he chose to be there when the guards came for him. Edward does not know if he would have had the courage to remain in the garden. Edward has a secret of which he is unaware. In 2260 there is no more capital punishment. The worst criminals, such as serial killers, face the penalty called death of personality, in which the authorities mindwipe the convicted criminal and implant a new personality determined to serve society. Until 2251 the person now known as Brother Edward was Charles Dexter, the Black Rose Killer. Some relatives of Dexter’s victims have hired a Centauri telepath to undo the mindwipe partially, prompting Edward to have troubling flashbacks he does not understand at first. 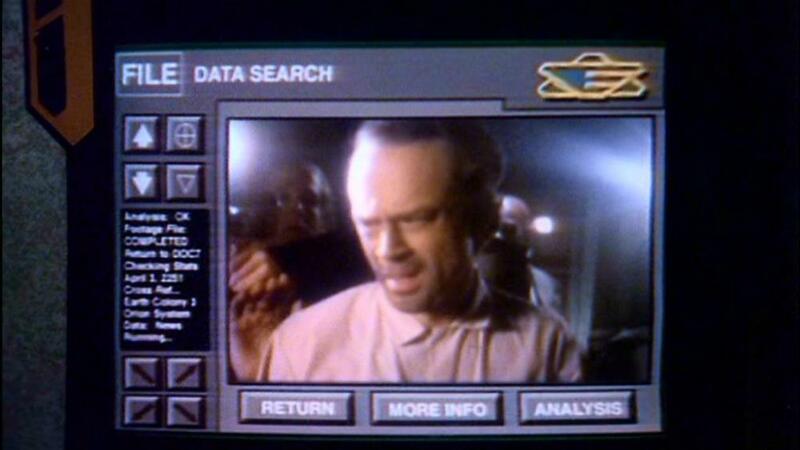 With Lyta’s help the station security forces locate Brother Edward yet find him close to death. 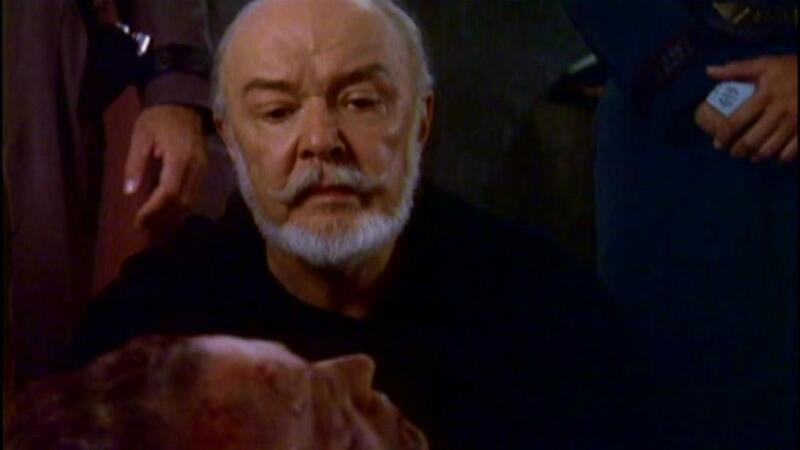 Brother Theo administers the last rites and the guards arrest Edward’s murderer. A few days later, Brother Theo introduces the newest member of the Trappist order to Captain Sheridan. Brother Malcolm has wanted to serve others as long as he can remember. Does his face look familiar? Forgiveness, Captain Sheridan tells Theo, is a hard thing. Nothing is more difficult, Theo agrees. This, I think, is true. And the episode has haunted me since I saw it in first run syndication, late in 1995, when I was a student at Valdosta State University, Valdosta, Georgia, U.S.A. Now I encourage you, O reader, to watch it, become haunted by it, and share it with others.